At TENA, our dedication towards innovation is entwined with everything we do. By making sure we’re always pushing the limit when it comes to new technology and materials, our products continue to daily improve the lives of millions. With over 50 years of experience, we understand the far-reaching impact of incontinence and the need for personalised and effective continence care. At TENA, we are dedicated to evolving and innovating to meet needs and so we continuously invest in research and real-life insight. 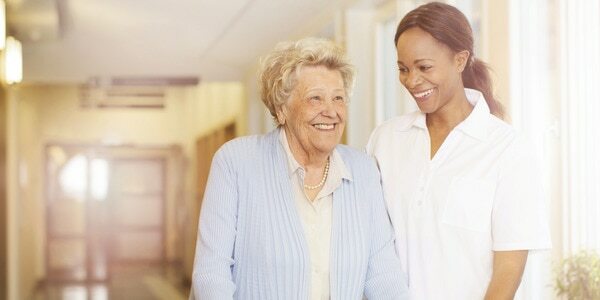 We understand that every situation is unique which is why we evaluate everything from quality of life to total continence cost. By innovating our high quality products and services to meet actual needs, we work with you to offer continence care that really makes a difference. At TENA, we are committed to providing better continence care for all. Our range of innovative products and best-practice care routines are designed to meet needs of your individuals and work environment, offering proven comfort, discretion and security. Our expert advice, training and support are tailored to your workplace to ensure you get the most out of our services. At TENA, we offer tailored support and guidance to ensure you can prescribe with confidence for individuals in your care, every time. 1Product testing of TENA Slip with ConfioAir™ with 242 carers in three countries, 2013. 2Dutch Ministry of Health, Welfare and Sports. Successful Pathways in Care Institutions, 2006 (English Extract). 4Essity Data on file; 181 TENA Solutions case studies around the world, mainly Europe but also the USA, Canada and China. 2011-13.